ShortScale :: View topic - Blue Super Sonic Owners? Posted: Sat Jun 04, 2016 2:30 am Post subject: Blue Super Sonic Owners? 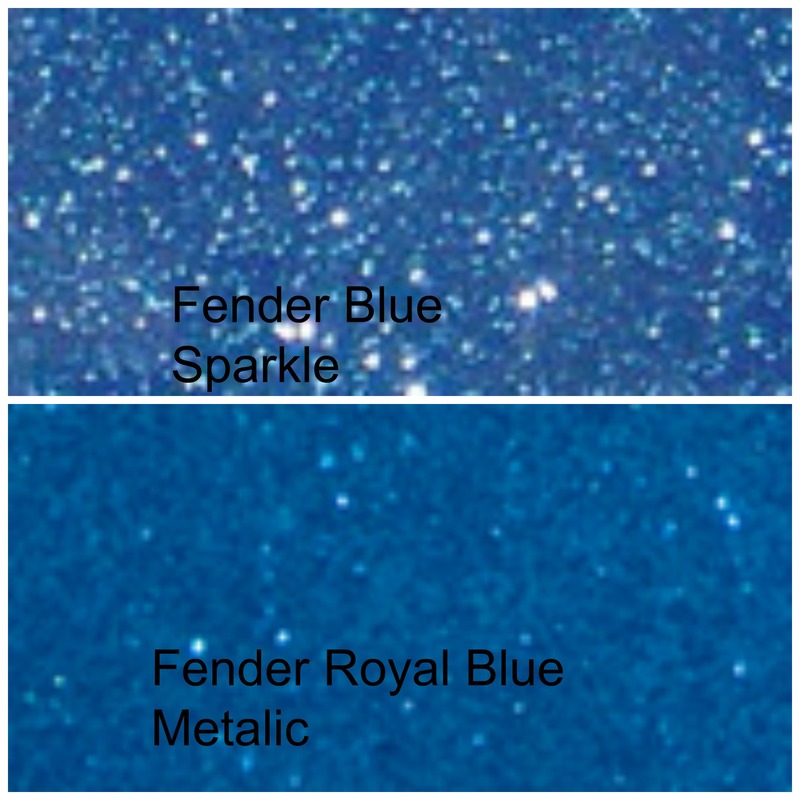 I'm trying to determine which of these colors most closely matches the Fender Blue sparkle Super Sonic. Thanks in advance for all of your replies. Added the two on the bottom from Fender's color chart this AM. From the top of my head, it's probably sky blue. Definitely not one of the two darker ones. Deep Marine looks closest to SSs I've seen in person, from memory. Depends on your monitor and your guitar and the lighting where you look at it most, naturally. it changes from light to dark depending on what light you are in. 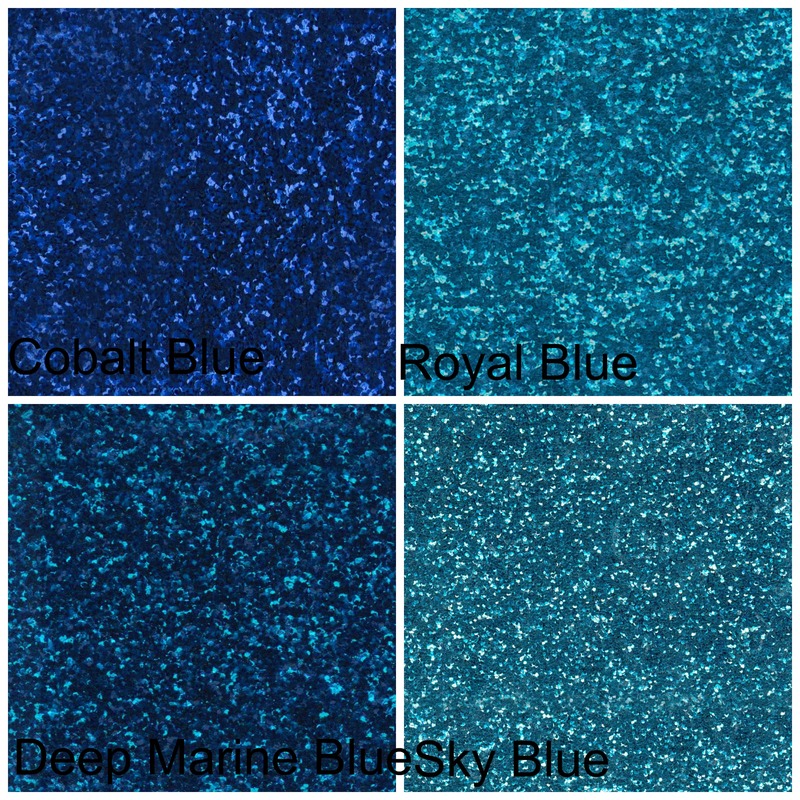 I'm going with Deep Marine. Also - remember - the clear coat yellows over time. That is a factor. 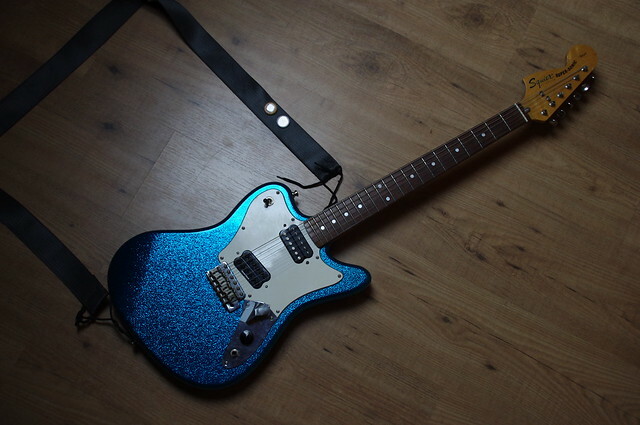 My silver sparkle one looks gold. Yeah, with everybody else going with the darker colors, I'm assuming mine has lightened with age.